Talent Scout was a recruitment firm targeting students and graduates with the ambition to join a Internship or a first time position as a graduate, e.g. trainee program. 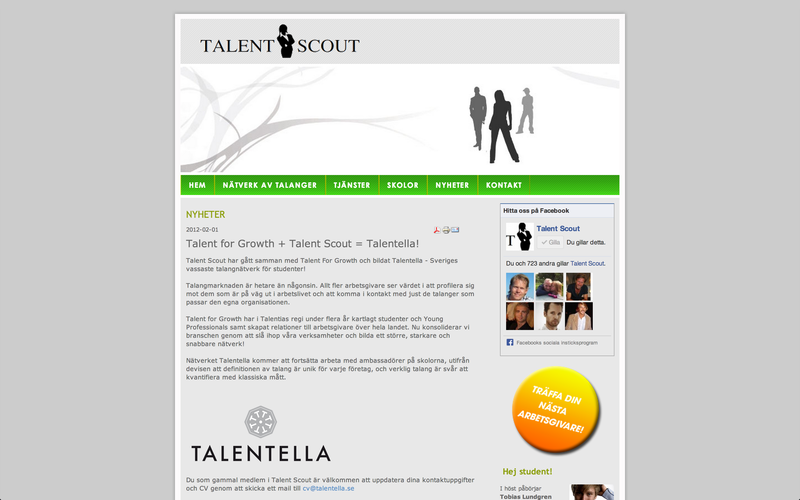 Talent Scout was merged with Talent for Growth, owned by Talentia AB, in 2011 and named Talent Network AB.